Rogue One—Can I trust this woman? Rogue One says that trust is not just built on exceptional skills or a reputable history. Women are taking on new roles in the Star Wars universe. In Rogue One and The Force Awakens, women (specifically three-lettered named, British women) fly, fight and climb their way into a protagonist. Rey came from an ambiguous but largely optimistic background. Not to mention, her impeccable tech skills easily won a place in the heroic community. But Jyn—Jyn is not that kind of woman. Born to an imperialist and raised by a terrorist, Jyn is flat-out untrustworthy. Nor, does she wield an wildly artificial skill set. Jyn only has her passion. 1) Do not trust any person with high cheekbones and a symmetrical face. 2) Symmetrically shot scenes mean … somethin’ bad is ‘bout to go down. Don’t worry! As you can see, these principles find their place in Rogue One, however… things are not what they seem. Good and evil are not so distinguishable after all. No one can be completely trusted. But, how can you have courage? How can you chase down hope, if you do not trust? Trusting someone is quid pro quo—risk equals reward. We’re not on Aladdin’s magic carpet anymore. A Rebel captain, a defected Imperial pilot, a desert-hidden terrorist, and a Death Star engineer—they have no reason to trust each other. Yet, the most risky trust is shared by Cassian (Diego Luna) and Jyn (Felicity Jones). Most of the time men are portrayed as the dangerous rogue whose entrusted with the fate of the world. Men tend to be written as the wild and unexpected heroes. Not so here! Cassian and K-2SO (Alan Tudyk) do not trust Jyn from the get go. Cassian wavers to and fro, in and out of each scene. In the end he trusts her with his life. But, what made him change his mind? What made him risk? I would have expected a romance to produce this kind of 180 (as per the usual pop-cinema script). Nope, not this time. Cassian’s trust reversal is left, for the most part, unclear. But, his shift does happen after a significant speech that he makes. He makes a case for Jyn to trust him. He forcefully reminds her that she isn’t the only one who is emboldened by a broken past. Passion—that’s what makes Jyn trustworthy. She thunders enflamed pep talks. She wells-up at the sight of pure comradery. Generally, to get any respect as a woman you can’t be too emotional, nor can you be too stiff-faced and strong-willed. You ought to flounder some place in between. But Jyn—Jyn is the most emotional and strong-woman hero I’ve seen in a long while. 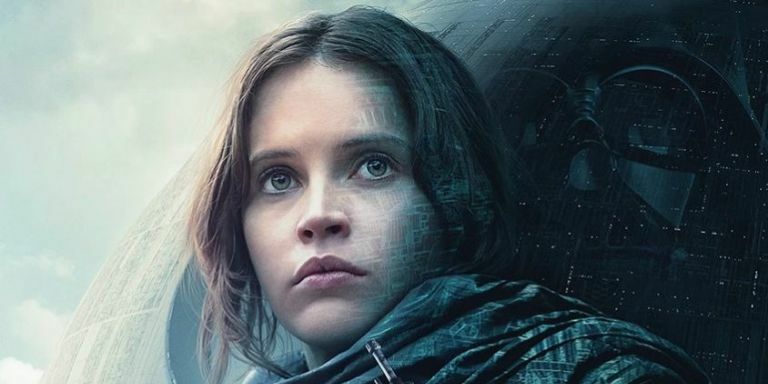 Jyn is a holistic, bona fide hero. Her emotional intensity fuels her passion to do whatever it takes. Her passion powers her courage to put her life on the line. Her zeal unifies the disillusioned and wary Rebels. 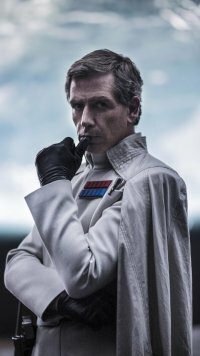 Rogue One says trust is not just built on exceptional skills or a reputable history. Trust confides in pure, self-giving passion.